Mumbai: The bilateral trade between India and US has the potential to grow to 500 billion USD by 2025 through concerned efforts from all stakeholders - government leaders and investors, corporates, businesses and entrepreneurs. India continues to emerge as one of the most important markets in the developing world and an important trading partner for the US. This is evident by the fourfold growth in the India–US trade since 2006 to 100 billion USD in 2014. However, enormous headroom exists to unshackle the real potential of the trade and develop and strengthen strategic relationship between the two nations through trade. This is increasingly important, since in the new world order, economic interests drive strategic partnerships to the mutual benefit of the world’s largest and oldest democracies. These observations are part of the joint PwC and Indo American Chamber of Commerce (IACC) report titled Indo-US trade: Mission 500 billion USD, which was launched here. The report suggests that the 500 billion USD trade has to be built on three pillars—India and the US developing a common foundation on common themes, facilitation of trade led by the respective governments, and finally, corporations and entrepreneurs taking up the mantle of leading the way as new channels of doing effect value-driven business open up. These pillars also need to be enabled by technology and citizen-to-citizen outreach, creating a strong and lasting foundation for this new trade order. The drivers of success cut across five key sectors that will be responsible for driving the Indo-US trade perspective—aerospace and defence (A&D), infrastructure and logistics, energy, manufacturing and services. These sectors are of the utmost importance to the Indo-US relationship. In each of these sectors, in addition to the facilitation of trade by the government, the corporate sector can lead the way into the evolving trade relationships. Shashank Tripathi, Strategy Consulting Leader - PwC India said, “India and US have a unique opportunity to build a strategic relationship through shared economic interests built and shared democratic values, which has the potential to inspire industry, governments and people across the globe. This has to be built by both sides by taking bilateral Indo-US trade to 500 billion USD. This involves initiating more trade missions and removing barriers that affect the trade and investment among other initiatives from the government and corporates”. Ranjana Khanna, secretary general of IACC said, “A strategic trading relationship is only the first step in creating a more meaningful partnership between two of the largest democracies in the world. This can not only lead to deeper engagement in areas such as space exploration, climate change and counter-terrorism, but also build a stronger people partnership and bring together dynamism and new thinking to create solutions to some of the most pressing problems the world is facing”. The report highlights that some of the key challenges in achieving Mission 500 billion USD include India’s poor record in the ease of doing business (EODB) ranking and speed of decision-making as well as the US government’s restrictive visa policy and restrictions on technology transfer. To overcome these challenges, Indian and the US governments need to improve the business environment, provide tax incentives and simplify regulations. Positive signs are already emerging with the government’s focus on the Make in India initiative, bilateral shared forum on manufacturing, and the India-US CEO Forum. While roadblocks may arise in the course of time, the commonalities of interests are immense for growth in trade between India and the US. PwC helps organisations and individuals create the value they’re looking for. We’re a network of firms in 157 countries with more than 195,000 people who are committed to delivering quality in Assurance, Tax and Advisory services. Tell us what matters to you and find out more by visiting us at www.pwc.com​. 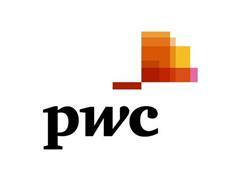 In India, PwC has offices in Ahmedabad, Bangalore, Chennai, Delhi NCR, Hyderabad, Kolkata, Mumbai and Pune. For more information about PwC India's service offerings, visit www.pwc.com/in​. PwC refers to the PwC network and / or one or more of its member firms, each of which is a separate legal entity. Please see www.pwc.com/structure​ for further details. The Indo-American Chamber of Commerce (IACC), established in 1968, is the apex bilateral Chamber synergizing India-US Economic Engagement. It was founded by Ambassador Chester Bowles along with the then Industry leaders and visionaries like Mr. S L Kirloskar, Mr. Harish Mahindra, Mr. H. P. Nanda, Mr. Kilachand, Mr. A. M. M. Arunachalam, Mr. Frederick Fales and Mr. John Oris Sims for enhancing US India Economic Engagement. Today IACC has pan India presence with 2400 members at 12 locations, representing cross section of US and Indian Industry. Over the past few years IACC unveiled various pro-active programs of engagement that included a number of confabulations in its target areas of bilateral trade including IT and Cyber Security, Aviation, Hospitality, Entertainment, Accounting, Law and Services. IACC take business delegation to USA provides opportunities for members to interact with business leaders, officials and executives from economic and commercial development agencies from various states and also blue-chip global advisory groups and consultants. IACC commits to be a force in the enhancement of commercial ties between the US and India with a focus on small and medium businesses in both countries.